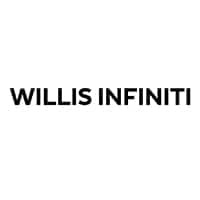 Willis INFINITI is dedicated to providing the ultimate value when it comes to maintenance for your INFINITI vehicle. Below are examples of how our maintenance prices compare to other companies when it comes to your INFINITI vehicle. *Prices are valid for INFINITI years/models only. See your Willis INFINITI service advisor for details. Tax and shop supplies not included.